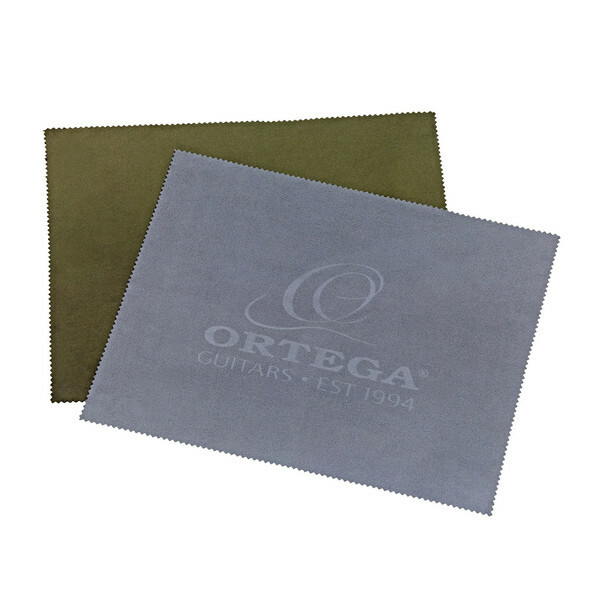 The Ortega OPC-GR/LG Microfiber Cloth is used to polish your instrument to restore its shine. The cloth?s microfiber texture picks up underlying dirt, dust and grease from your instrument, leaving it with a clean surface. The large size gives you're a greater surface contact, providing all-round more convenience. This pack contains two cloths, one in green and the other in light grey.